Announcing the HTC U Ultra for a whopping $749.99 was a terrible decision on the company’s part which is why it has introduced decent discounts for not just the 5.7-inch flagship, but also for last year’s crown jewel, the HTC 10. Though U Ultra definitely stands out with its glass panel, it is the HTC 10 that you want to focus on purchasing since overall, it is a great Android smartphone package. Visit HTC’s website right now and you will see the company’s high-end phones getting reduced to far more affordable prices than what they were originally being sold for. The U Ultra now carries a $599 price, marking a $150 discount, while the HTC 10 receives a $200 discount, resulting in the Snapdragon 820-smartphone carrying a price of $499. While the company would want to get the momentum running with a large number of sales, this latest move might come as a sign that the manufacturer could be prepping to announce its Snapdragon 835-powered flagship for 2017. The company said that it will be releasing a flagship for this year and thankfully, it is not the U Ultra. 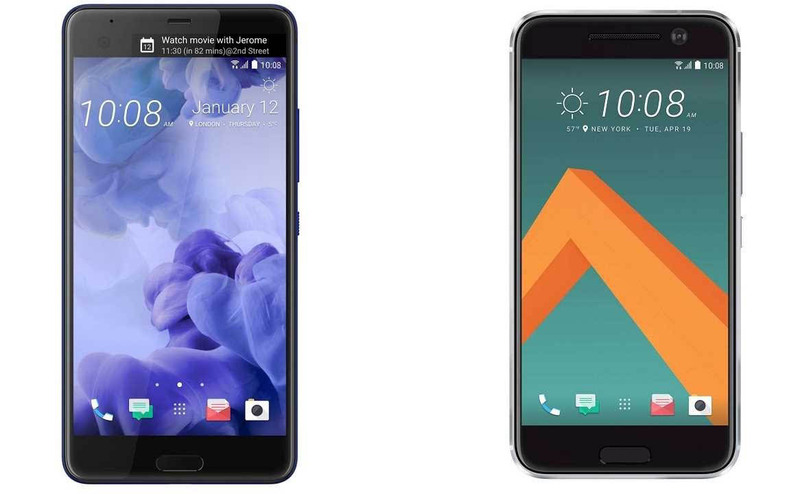 Most reviewers have deemed the HTC 10 as the ideal Android smartphone package because it features everything you would want, right down to the promise of receiving security and software updates after Pixel devices. The U Ultra has its fair share of gripes ranging from the lack of a headphone jack and a small battery despite the large 5.7-inch screen size. Furthermore, the glass panel would indicate that the smartphone provides support for wireless charging but that is not the case as well. In terms of durability, JerryRigEverything stated that the HTC 10 won that award as it was near-impossible to see a flex from the phone when it was bent was a tremendous amount of force. If you want to purchase any of the high-end phones, then you can visit the company’s website or make a purchase by clicking on the link below. The international version of the HTC 10 is $40 cheaper, so make use of the extra savings.